A big well done to the six children from Year 5 who received our end of term 'Well Done' awards for excellent work and positive attitudes throughout the spring term. We are learning all about the different countries in Scandinavia, including the physical and human geography. After half term, we will be looking at the Vikings for history. In Science, we will be focusing on animals, habitats and life cycles. On Friday 8th March, All Saints celebrated World Book Day. 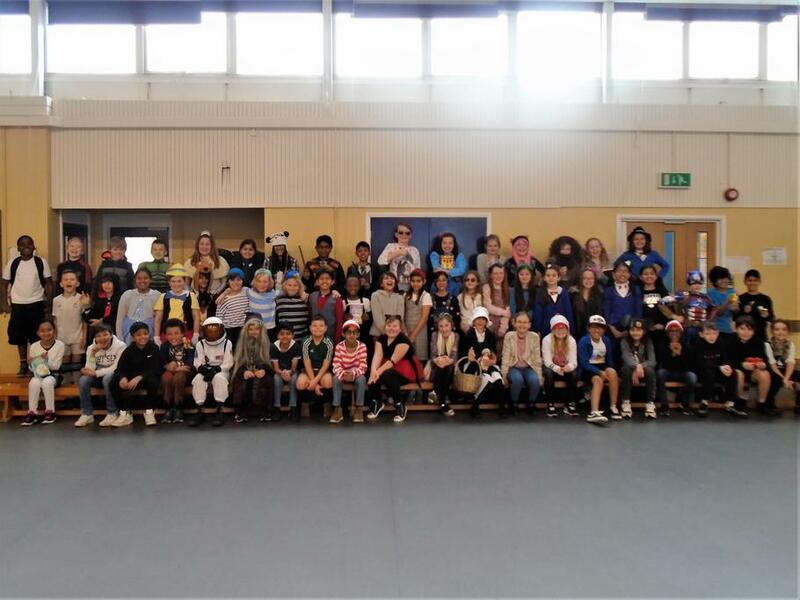 Year 5 came into school dressed in some absolutely fabulous costumes! 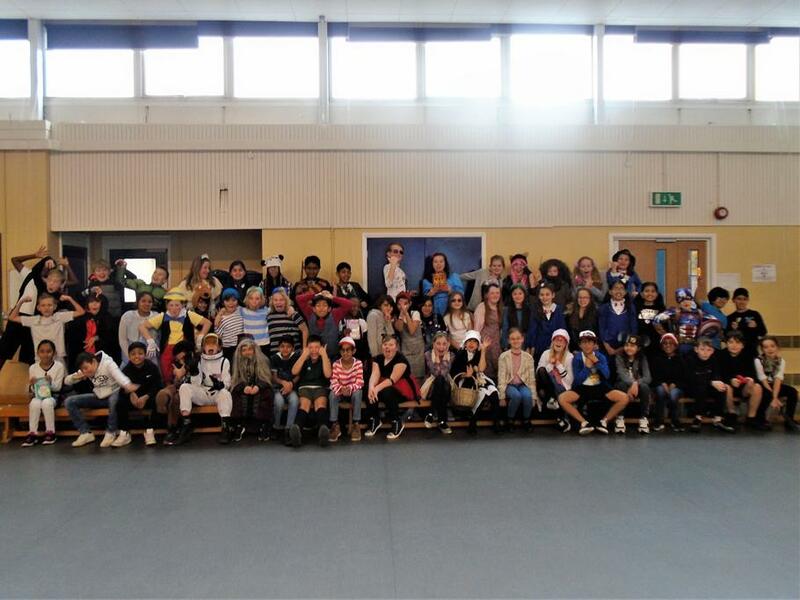 We had Dumbledore, the terrible triplets, Alex Rider, Mary Poppins, Pinnochio and many, many more! During the day, we competed in the Great Big Book Quiz, shared some stories and made our own comic books. A big thank you to all our parents for helping us put together the fantastic costumes - we looked amazing! Children in Year 5 are set two pieces of homework a week, as well as their spellings. Maths homework is set on a Friday and due in on the following Tuesday for all classes. Spellings are given out on a Thursday and are tested the following Thursday for all classes. English/Topic homework is set on a Monday and due on a Thursday for all classes. All children are expected to read for at least 15 minutes each evening. Each child has a reading record that should be signed by an adult to show that they have been reading. Reading records are checked twice a week (days specific to each class) and there will be rewards for regular readers! Please see the pages below for this week's homework. If you have not got a particular week's homework either due to missing school on the day it is set or because you have lost your sheet, then you can download it from the appropriate page. All children should complete one piece of maths homework either online OR on a worksheet depending on whether you have internet access at home. All children should complete one piece of English homework. A few children have two pieces of maths, the main piece (online OR worksheet) and an extension sheet. If you are downloading the sheets from below, make sure you are completing the correct one! If you aren't sure which one you were originally given, check with your class teacher. Outdoor PE is a Monday. This term, our focus is hockey. Indoor PE is a Wednesday. This term, we are continuing to develop our gymnastic skills, including using the apparatus. Children should have NAMED PE kit in school from Monday to Friday, including socks and trainers. Mrs Eaton-Price is the Year 5 Leader. Should you have anything you wish to bring directly to her attention, please use this form. Under our service standards, you should expect an answer within 3 school working days. Thank you.